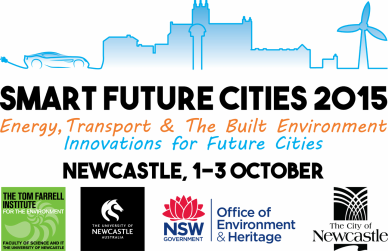 The Smart Future Cities conference is shaping up to be one of the most informative and thought provoking conferences held in Australia this year. Covering a wide range of topics related to making our future cities smart, livable, and resilient. A full timetable of events is scheduled, starting with the Waste to Energy Workshop on Wednesday from 12 noon, followed by a welcome evening for our presenters. Thursday morning will see our delegates and speakers arrive for a full day of exciting talks and demonstrations during the breaks, followed by a free cocktail evening supported by our friends at Aecom. Friday is another full day of talks and demonstrations, followed by the Free Public Forum to be held in the Main Concert Hall. Saturday is our Electric Vehicle and Clean Energy Expo, which will run in the Western End of Civic Park from 10am. Showcasing innovations in clean energy and future transport, the day is set to be fun-filled and thought-provoking. Our delegates will each receive a beautiful copy of the conference handbook as seen on the left. A great momento of the conference to keep and look back on.